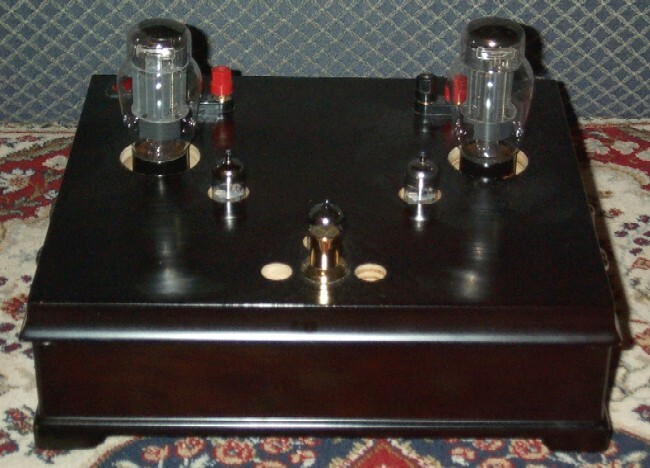 This amplifier was inspired by Steve Bench's experiments with the Talema small power toroids as output transformers. I built it in an empty Bombay Coy tea sampler box. It produces 10W pc in class A, however, power at 20Hz is limited to about 4W which is not surprising. I did not provide for balancing the current in the output triodes, simply used the best 6AS7s I had with respect to section-to-section matching. The toroid used is the largest in the range, 50VA. I would like to try something around 80VA, however at $17 each, the 50VA Talema units cannot be beaten for value as output transformers. Furthermore, they are the only transformers I have tested which can reproduce a 20kHz square wave with absolutely sharp corners, no ringing or undershoot! (I think square wave performance is an important aspect, so much of music has a fast attack or transient nature.) Apart from the LF limitation, the sound is fine, full, detailed and fast. I like it very much, everybody else who has heard it also likes it without exception (so far). 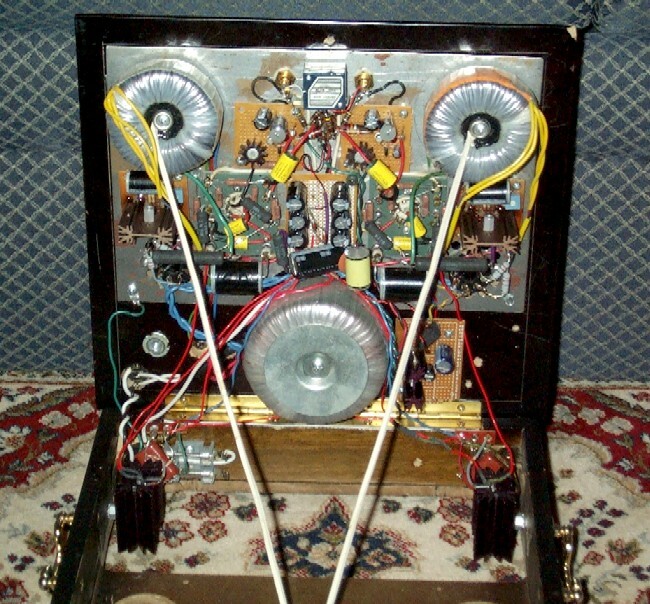 The 6AS7s being high perveance triodes, need protection during cathode stripping during turn-on. I accomplished this by using a long time constant on the B+ regulation fets.